Therefore VAHLE supplies almost 8 kilometers of vCONDUCTOR Type VKS including double current collectors for powering the 306 High Dynamic Storage (HDS) multi-level shuttles. 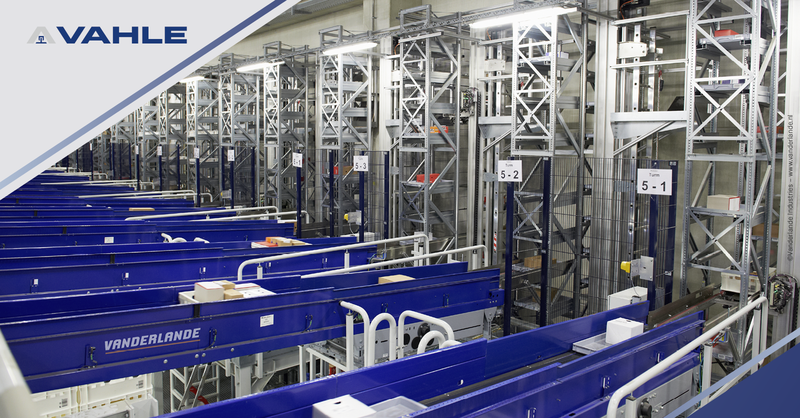 The new automated small parts warehouse forms the core of the EDEKA Distribution Center, which is currently being implemented by VANDERLANDE. Our VKS 6-pole Compact Conductor System is designed precisely for such intralogistics applications. The VKS allows a very compact installation and offers a significantly reduced assembly time. It also provides reliable voltage and signal supply as well as a long-life carbon brushes. A special protective conductor guarantees trouble-free and accident-free maintenance. This is synonymous with the highest safety and system availability. The particular challenge of this project was the need to execute the expansion during ongoing operations and with temperatures above freezing point. The new automated small parts warehouse will have over 100,000 storage locations for boxes. The entire logistics capacity will double once the project has been completed. VAHLE is proud to electrify one of the most modern food distribution centers in Europe.